Traveling to Las Vegas with your friends or family just got a whole lot easier, especially if you were the person who (was) volunteered to be the social organizer. MGM Resorts International has launched MGM Resorts Connections, a free one-stop-shop for groups to book entire dream vacations, including hotel rooms, restaurant reservations, VIP nightclub access, private spa suites, show tickets and more at 12 iconic resorts across the Las Vegas Strip. Rock in Rio has announced a sponsorship agreement with Mercedes-Benz to serve as official sponsor for the upcoming Rock in Rio USA music festival taking place May 8-9 and May 15-16 in Las Vegas. 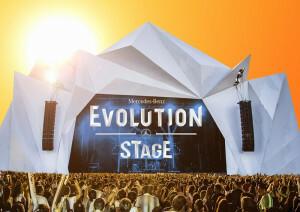 The agreement includes Mercedes-Benz having naming rights of the Sunset Stage that will be named Mercedes-Benz Evolution Stage. The Rock in Rio partnership represents a natural build on the luxury brand’s involvement in producing consumer-facing music events, which began with last year’s groundbreaking multi-city Mercedes-Benz Evolution Tour. This year, Mercedes-Benz will further present consumers with experiences that showcase the evolution of the brand and tap into key consumer passion points. The Avian Propagation Center at the San Diego Zoo has two new residents, a pair of Dalmatian pelicans, both less than a month old. The pair arrived at the Zoo from the San Diego Zoo Safari Park, after their parents were unable to raise them upon hatching. Animal care staff at the Zoo’s off-exhibit Avian Propagation Center will hand-raise the birds for approximately 50 to 60 days, until they are strong enough to return to their flock at the Safari Park. The pelican chicks grow rapidly and should be covered in their downy feathers by three to four weeks of age. 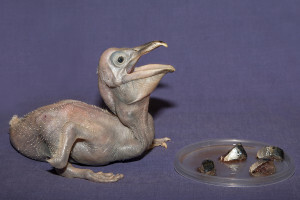 The Dalmatian pelican chicks are part of the first North American breeding program for this vulnerable species. Since the breeding program was started in 2006, 34 chicks have been hatched. Because of the success, the Safari Park has sent some of the birds to the Phoenix Zoo, where a second breeding colony is being established. Marini’s Candies is celebrating 100 Sweet Years at the Santa Cruz Beach Boardwalk with a 2015 season full of extra-sweet events. The Marini family has made quality candy on the Boardwalk in Santa Cruz for four generations. From salt water taffy to caramel apples and chocolate covered bacon, Marini’s is the go-to place for sweet treats on the Boardwalk. Grand Prize winners will receive an invitation to create and name a special salt water taffy flavor and receive that flavor free for an entire year. Other prizes include a 1-year supply of Marini’s Assorted Salt Water Taffy; Marini’s Caramel Apples; Marini’s Pins; and various treats. Prizes are discovered on scratchcards inside 1 lb. boxes of Marini’s Assorted Salt Water Taffy sold at all Marini’s locations on the Boardwalk from March 28 through October 25, 2015 while supplies last.